Hello, all! If you are visiting from Simple Simon & Company, welcome! 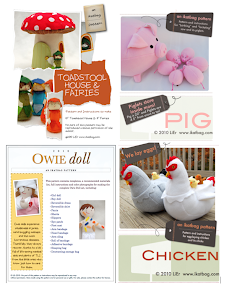 I am thrilled to be working with Liz and Elizabeth again- not only are they talented seamstresses and all-round lovely people, they also launch some of the best sewing events in all of crafty blogland. 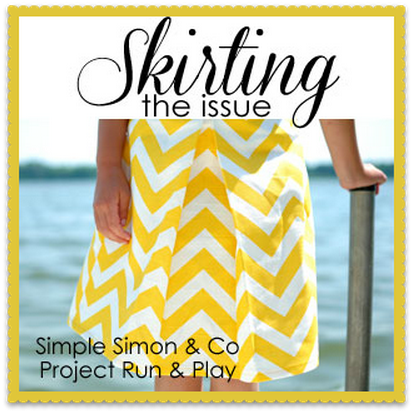 In past years, I've had the pleasure of making over an ugly vintage pattern, upcycling an old maternity shirt, and being a guest judge for the fourth season of their needs-no-introduction Project Run & Play. And then there is Skirting The Issue. This is my second round (my first was in 2012 when it first kicked off) and, as before, I am honored to be part of this meaningful and fulfilling movement to bring handmade blessings to girls to whom such treats seldom come. 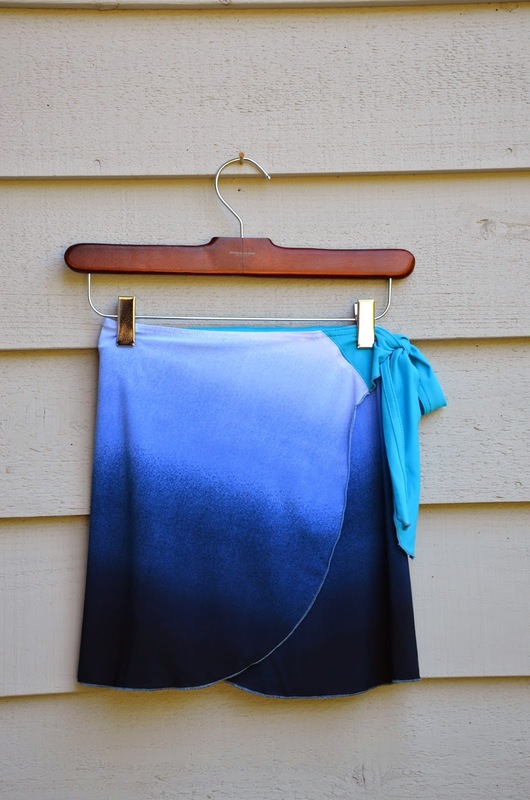 and compiled a roundup of my archived skirt tutorials and garment sewing techniques. 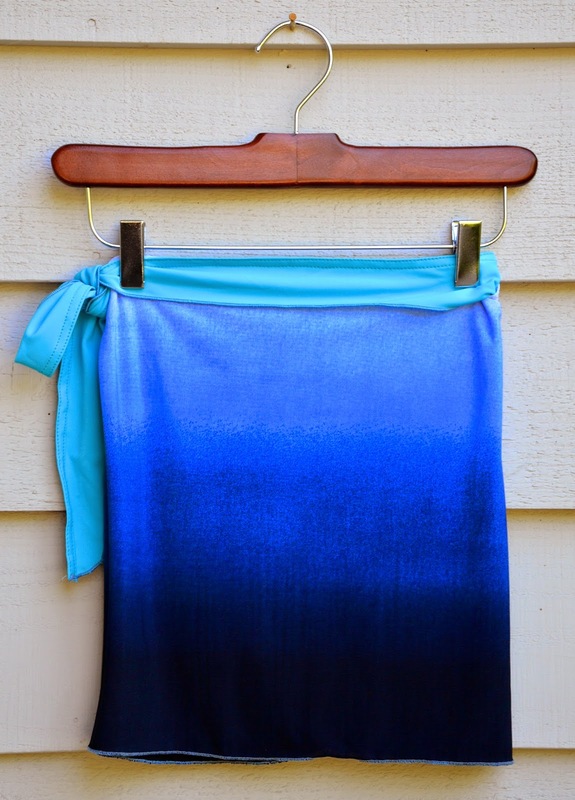 Today, I am sharing another wrap skirt. 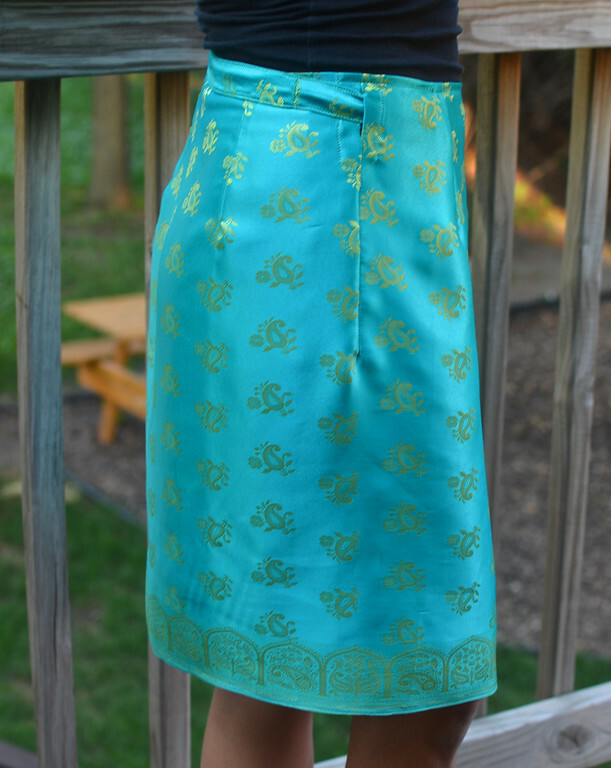 I like wrap skirts for when I am sewing for people who are not physically present for me to measure and draft for. They are also good for people who are still growing and changing in size and shape. 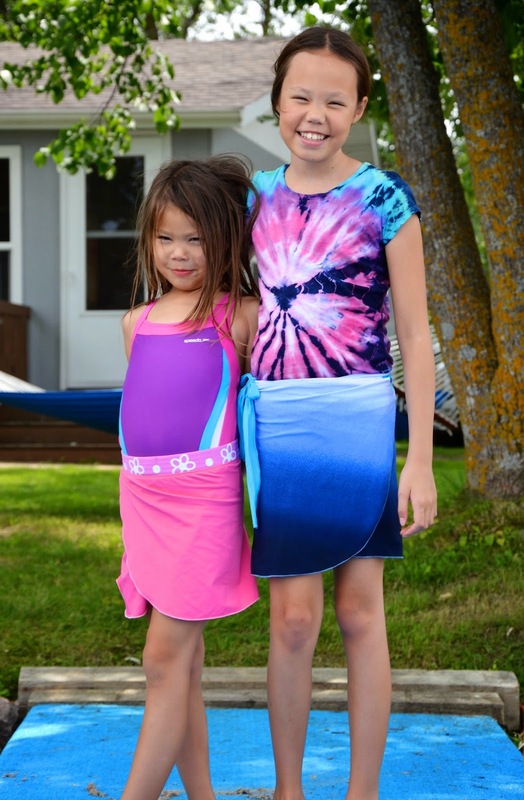 This summer, the kids decided they no longer wanted to wear swim robes to the pool. Too stifling for summer, they said. Instead, they declared that they needed swim wraps like the one I always wore. So I made them one each, in their size. 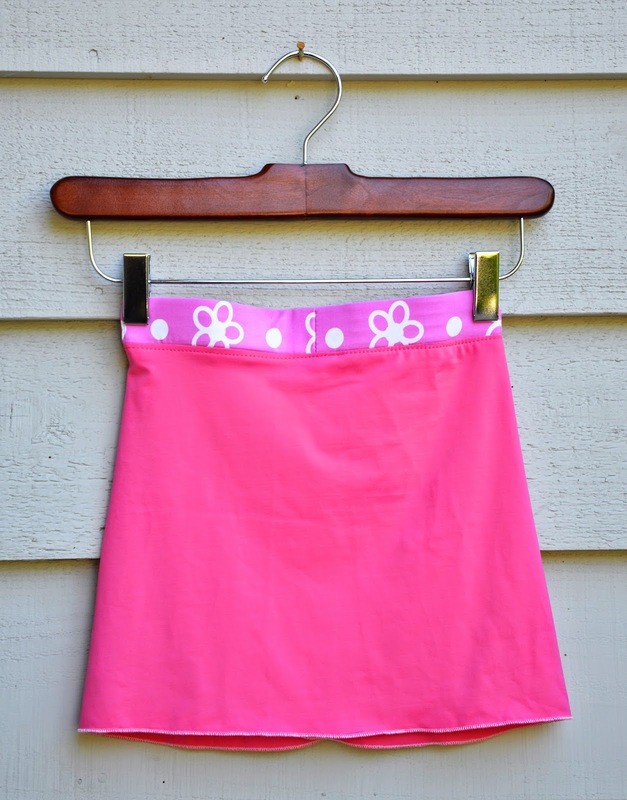 This is a very easy skirt to make. 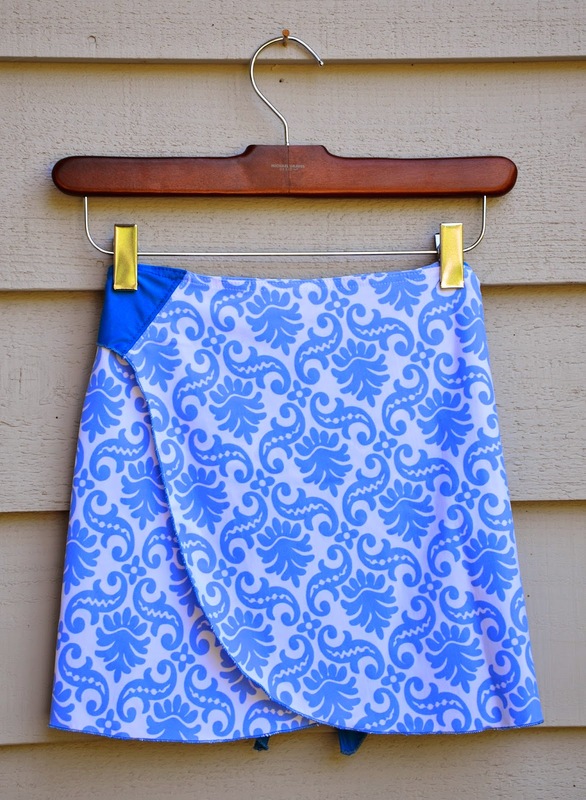 Because they were intended for use in and at the pool, I made all three in swimsuit fabric. 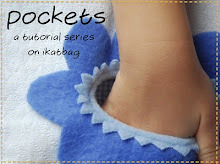 However, they can easily be made in any regular knit fabric for everyday wear. Kate requested the pull-up version, so she wouldn't have to do any wrapping or tying. Here's how easy it is to make. 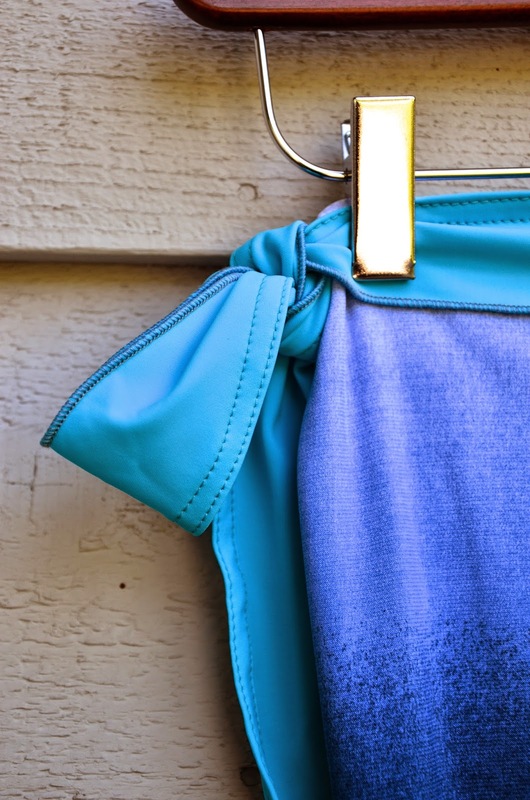 First, make a knit-covered waistband that fits the waist. 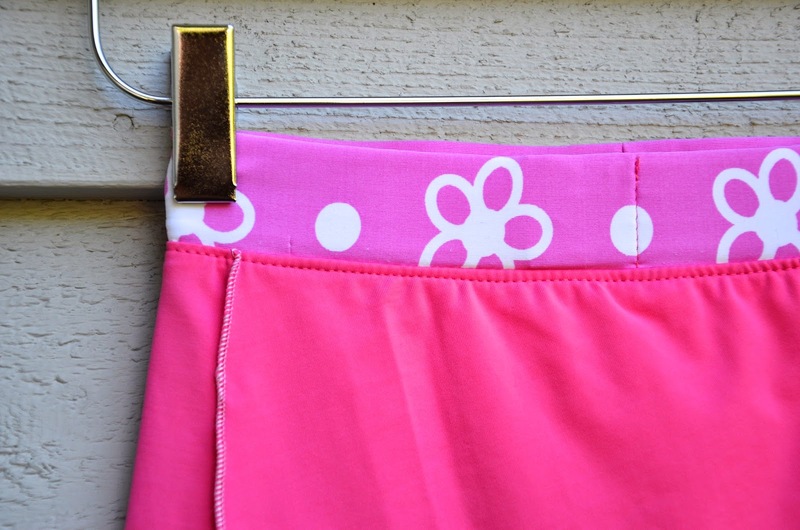 See this post for how to make and attach a waistband like this. 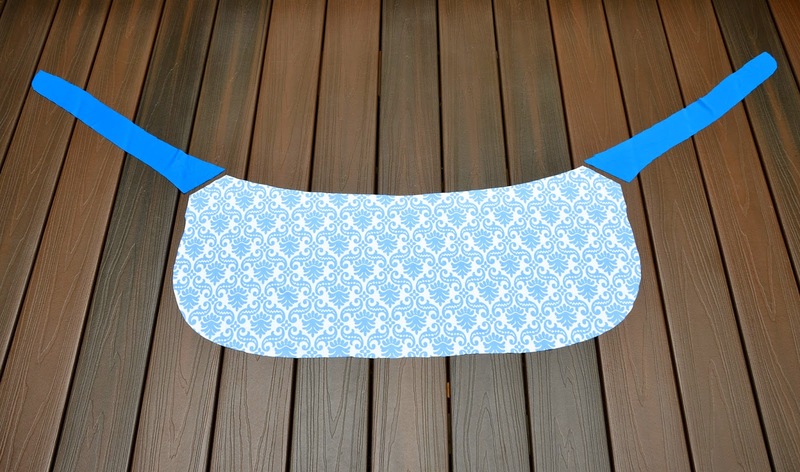 Then I cut a piece of swimsuit fabric wide enough to wrap around the hips almost three times. Note that it is curved, not straight, so that it drapes the curve of the lower body. The more curved it is, the more flared the final A-line shape will be. Finish the bottom hem and sides (but not the waist-edge) of the fabric. I made a rolled hem. 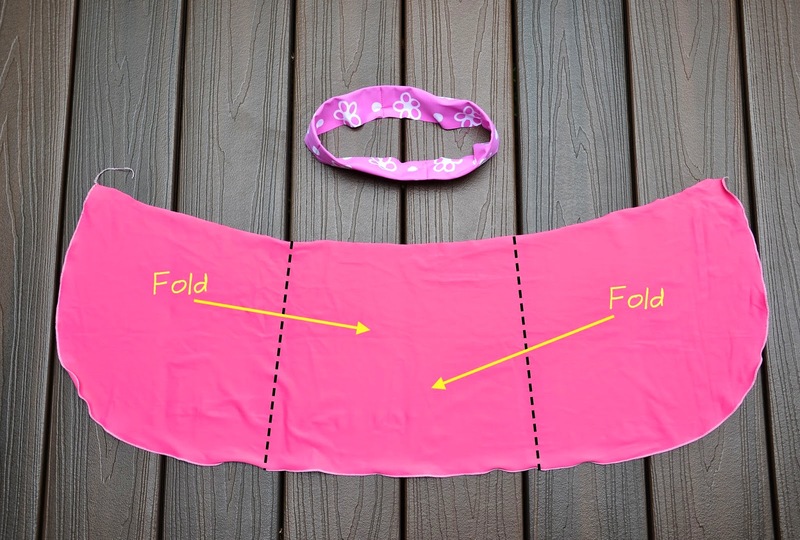 Fold the fabric so that its waist is roughly the circumference of the actual waist measurement. This might be an inch or so bigger than the waistband. 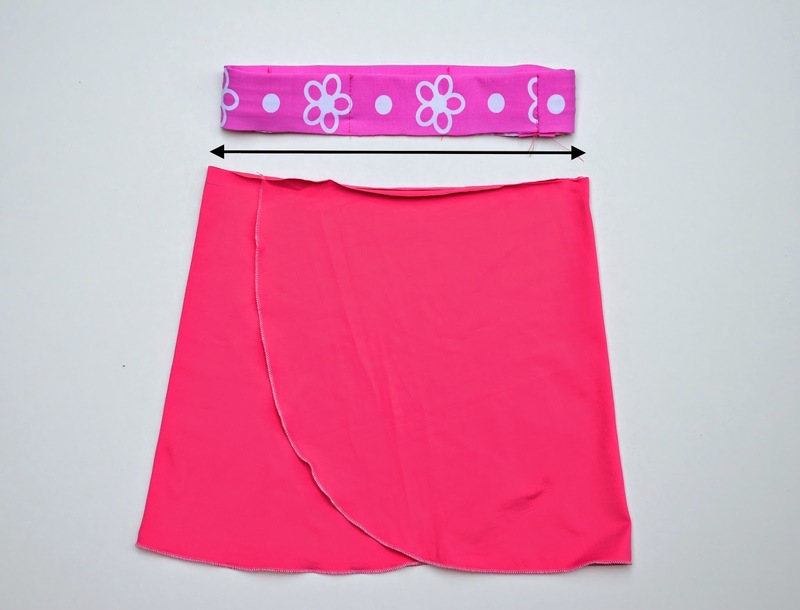 Pin the panels of the skirt together so they stay closed while you attach them to the waistband. Attach the waistband according to the tutorial linked to above, including topstitching the SA in place on the WS. This finishes the skirt. or the back (or wherever is convenient, really). 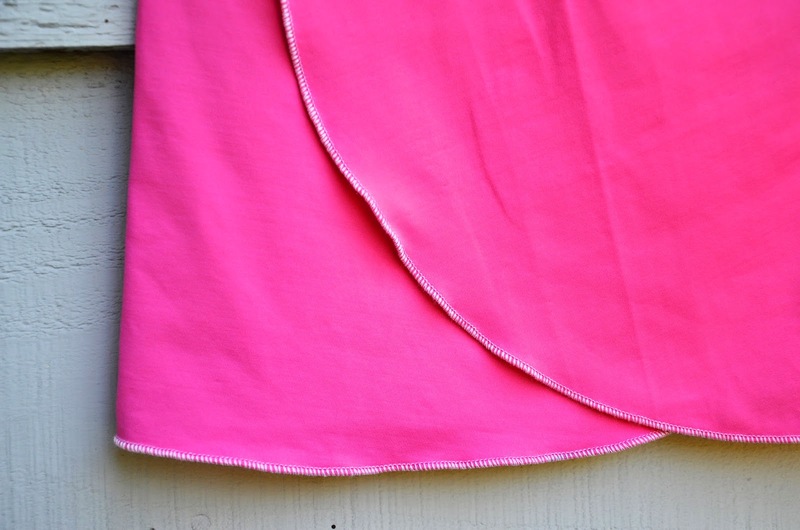 the top corners of the skirt piece are snipped off, to connect to the ties. 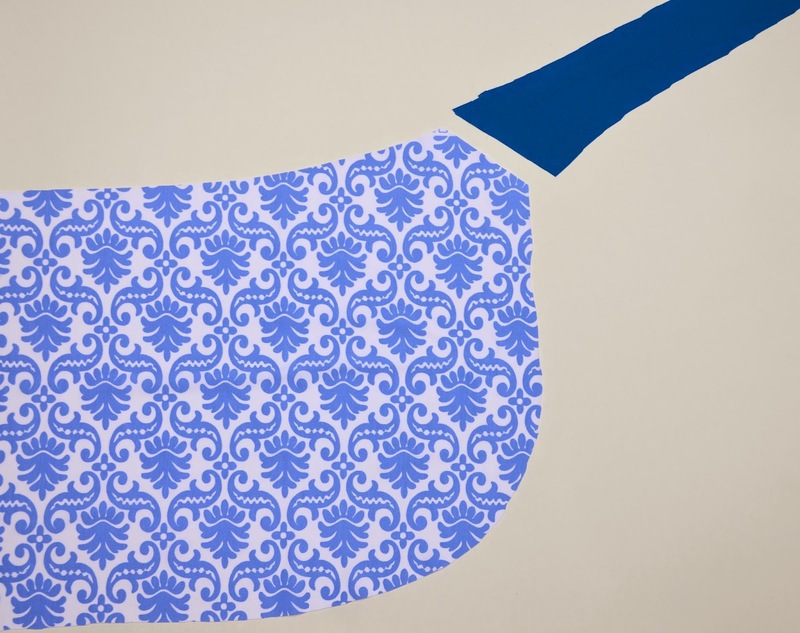 Here is one of those corners, showing how it attaches to the tie. Flip the angled end of the tie over, so that the RS of both the tie and skirt are touching. 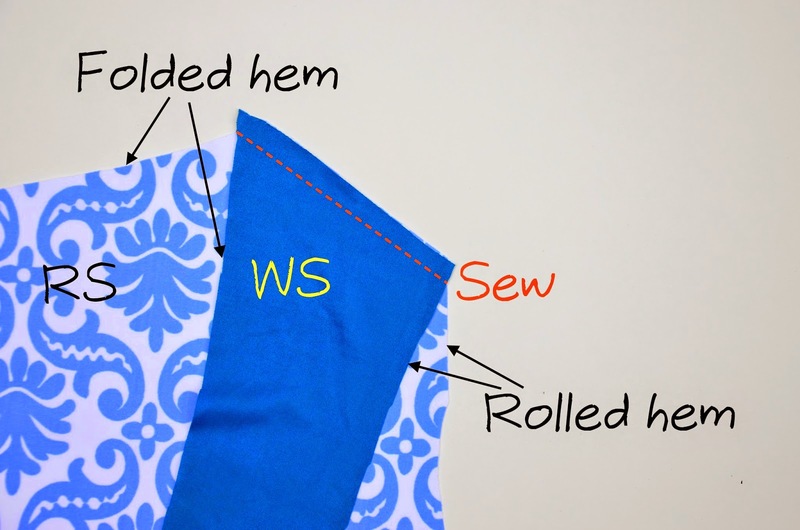 Sew them together at this seam. 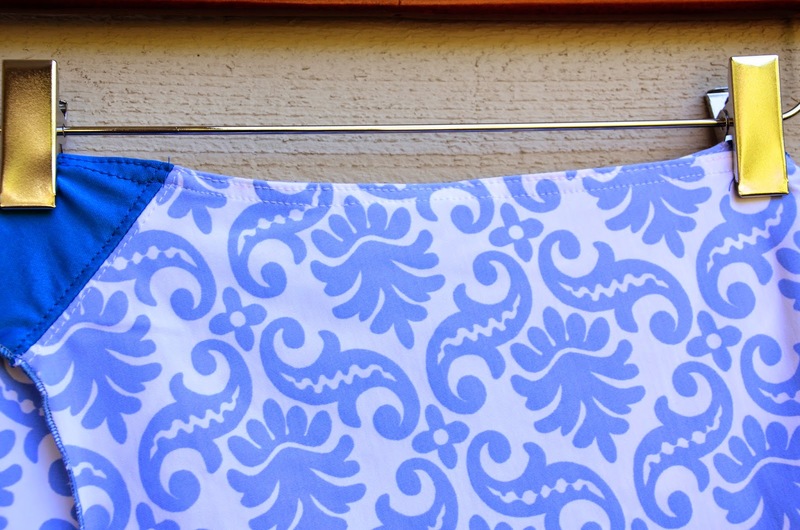 Then fold the waist of the skirt over twice and topstitch to make a folded hem. Continue this on the top edges of both ties for continuity. Finally, finish the bottom edge and sides of the skirt (I used a rolled hem again), continuing along the bottom edges of both ties. You can see the toptitched waistband and rolled-hemmed sides in this shot. for swimming, lounging and everything else that summer might bring. You are amazing, as always! I think i will make one for myself. . . Thank you! 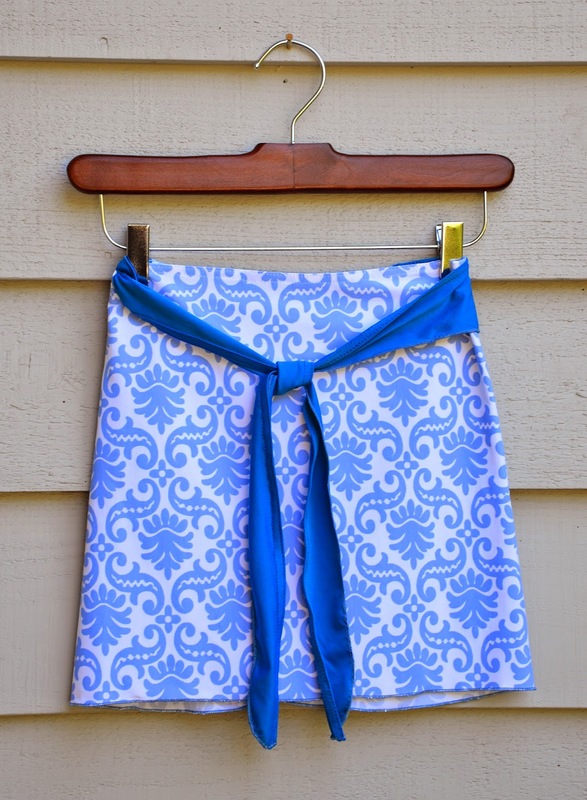 The first skirt is how I did my maxi-skirt. Except, I didn't hem. Anything. Love knit fabrics. 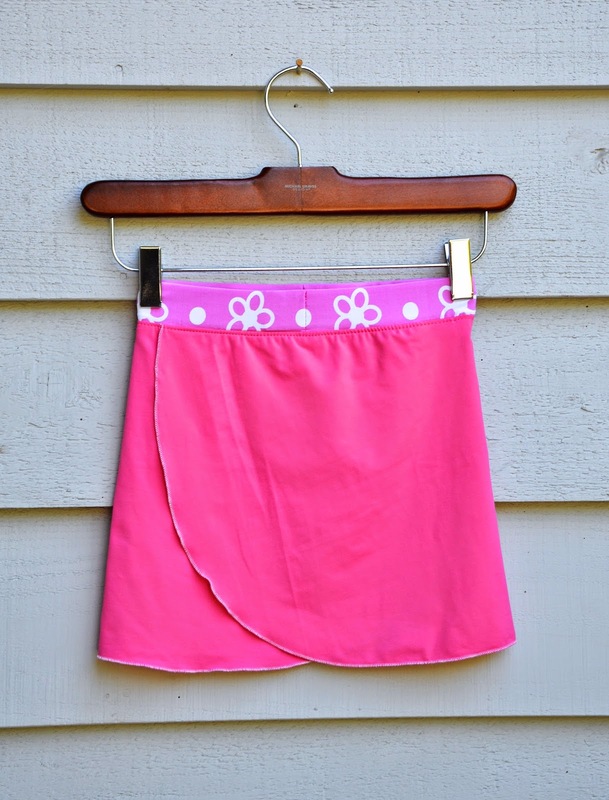 Fabulous skirts! You are so talented! I know my daughter would love this.